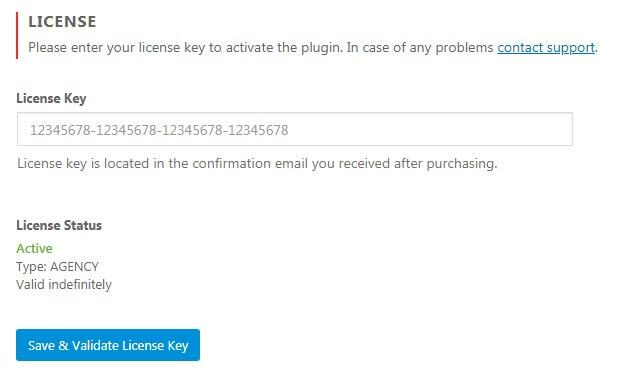 If you manually install the Coming Soon & Maintenance Mode PRO plugin, the license tab will be the first tab you will see after opening Settings -> Coming Soon PRO. This is the place where you will have to enter your license key which you received after the purchase. After entering the key, you should see a confirmation message letting you know that your key has been saved and activated. Also, on the bottom of the license tab, you should see that License Status changed to “Active”, and the details about your license. Just in case you’re having problems with activating the key, please contact our support.